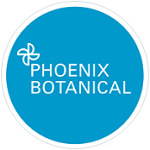 Thanks to Phoenix Botanical, a top 10 Illinois dispensary, for supporting the 2019 Festival! They are ready help you or your loved one gain access to the Illinois medical cannabis program, find the right cannabis medicine that works for you and support you along the way. This entry was posted in Featured sponsor, Festival 2018, Sponsors by Raeann. Bookmark the permalink.